THE SOUTH end of Lerwick’s Commercial Street is to be shut all day on Thursday to allow for filming of the next series of TV drama ‘Shetland”. The production team have secured SIC permission for a road closure between 8am and 10.30pm in the area between Church Road and Stouts Court. Davie Gardner of Atlantic Edge Music Services, which is again helping out with the logistics of filming the show, said the road would be closed to through traffic including residential access, but access will be maintained for disabled badge holders and emergency vehicles. Parking in the area will also be suspended. Foot traffic will be unaffected but “may be subject to a temporary stop/go procedure during actual filming”. Millions of viewers tuned into the first six-episode series of ‘Shetland’, a crime drama based on a number of novels written by Ann Cleeves, in February and March last year, after which a second series was commissioned. The first block of filming in Shetland begins on Thursday and runs until 28 April. The crew will then return for a second stint of shooting from 3-20 June. This month’s filming locations include Lerwick, Sandwater, Voe, Vidlin, Eshaness, Bigton and Sumburgh. Broadcast dates are yet to be finalised but the programmes should be completed later in 2015. 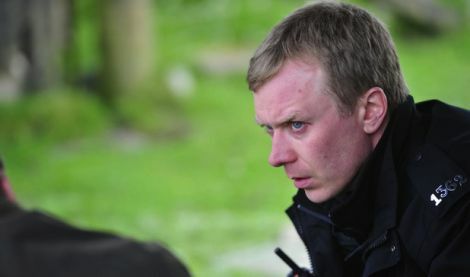 Isles-born actor Steven Robertson will again be involved, while Douglas Henshall will reprise his role as Inspector Jimmy Perez.